I work with many clients, some male but predominantly female, who at some point in our coaching sessions will say; “if only I had the confidence… more confidence… her confidence… “. What is it, this elusive thing that we tell ourselves we don’t have? Where is it? If you had it before, where did it go? Maybe you left it behind in a taxi or it vanished down the back of the sofa… and how can you find it again? Realize Coaching – it’s our birthday! This March, we’re celebrating our first two years as an independent small business, offering professional coaching to help clients realize their goals in work and life. Like any other two year old, there have been teething problems, tears and tantrums - and that’s just been me, thankfully not (all) the clients! 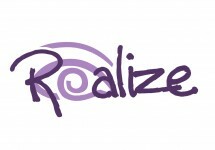 But I just thought … Continue reading Realize Coaching – it’s our birthday!